Tombarello and Sons Inc. rents 15 yard, 20 yard, 30 yard, and 40 yard roll-off dumpsters for residential, commercial, construction and demolition projects in Wellesley MA. 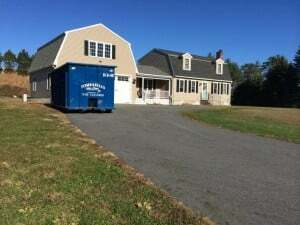 Whether you have a home renovation project, roofing shingle disposal, new construction or building remodeling project in Wellesley MA, Tombarello and Sons Inc. has the perfect size and ideal container for the job. 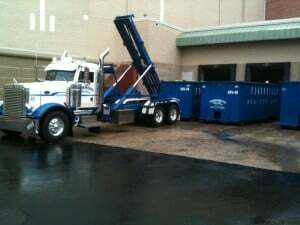 Call Tombarello and Sons Inc. at 978-722-6400 for your dumpster rental and delivery to Wellesley MA today. Tombarello and Sons Inc. provides roll-off dumpsters to a number of commercial businesses in the Wellesley MA area. Our containers range in sizes from 15 to 40 cubic yards. 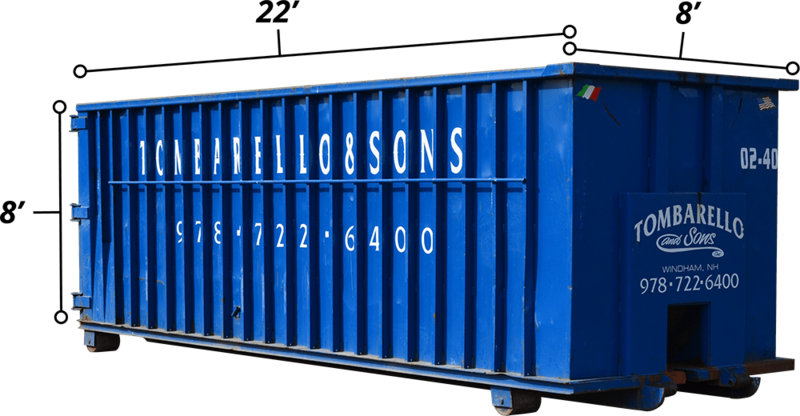 Construction and demolition customers generally use our open top containers for ongoing projects and are emptied on an on-call basis. Our permanent commercial customers regularly have a container onsite and are serviced on either an on-call or a scheduled basis. Our company has been very successful in saving local companies money for waste removal and, as a family-owned business, we take pride in our customer relationships. Call us for all of your needs.